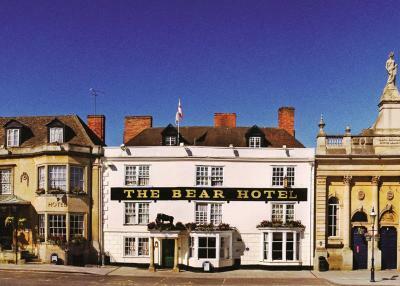 Lock in a great price for The Bear Hotel - rated 8.7 by recent guests. Size of the room was great. Central location. Tastefully decorated. 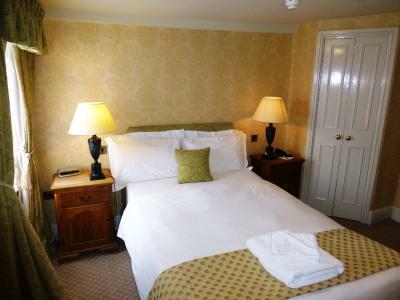 A very enjoyable stay! 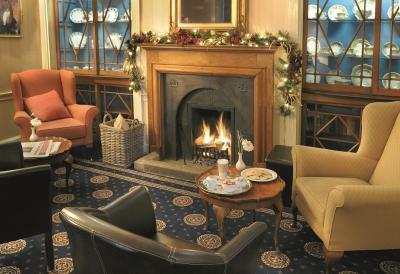 All the staff were very friendly and accommodating. Breakfast was excellent with a good selection with vegetarian and gluten free options. 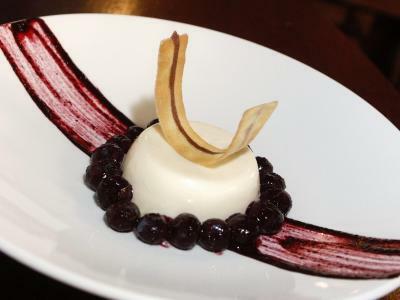 Dinner in the Bistro was fantastic! 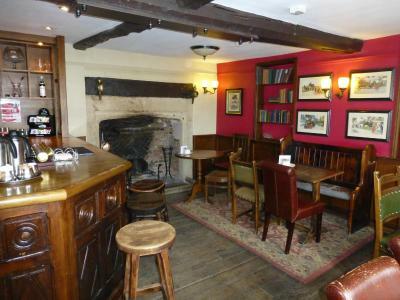 Fabulous location in the market place in Devizes. Breakfast was delicious and they have lots of gluten free options for Coeliacs. We liked the interesting, quirky, interior of the old hotel, although there were narrow, twisting, stairs to negotiate with our luggage. We parked behind the hotel and entered through the rear doors, which was very convenient - you could make use of this private facility until 2pm on the day of departure which was also handy. 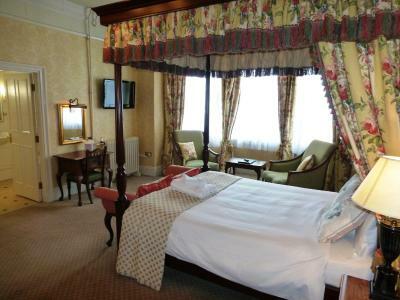 The rooms were warm, the beds were attractively presented and very comfortable. 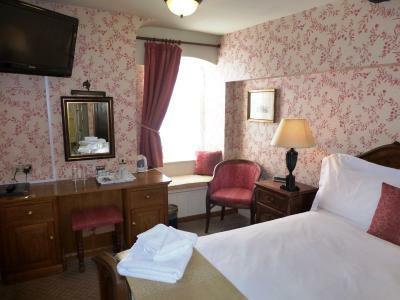 We booked a triple and an executive single room which were a good size for adult use. 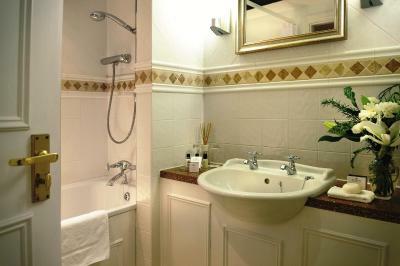 The bathrooms were tiled throughout, with bath/shower combinations which were extremely clean. 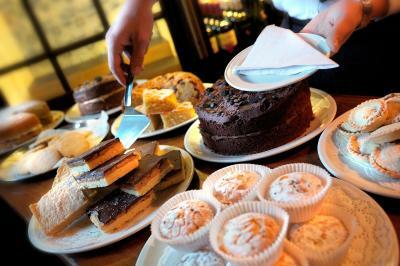 There was ample provision for tea, coffee and biscuits. It was also good to be able to open the windows, overnight, without child friendly restrictions. 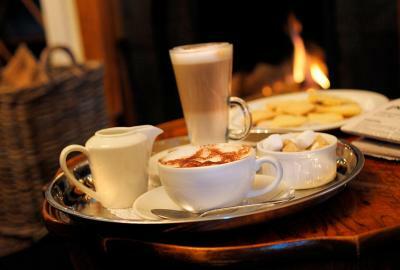 The staff were very friendly and amenable. Full English was great - location really good - right in the middle of this lovely town. Excellent room right at the front so we could enjoy Devizes market place. Really helpful staff. The staff went above and beyond to ensure I had the best stay possible. 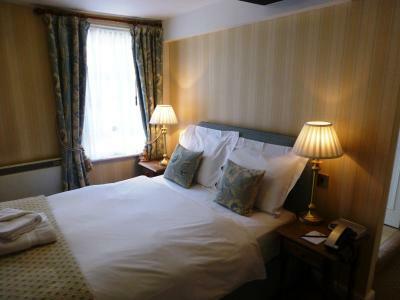 The room was really lovely and everything was clean. The bed was also very comfy! Good location and lockable store for cycles but overall cannot recommend. 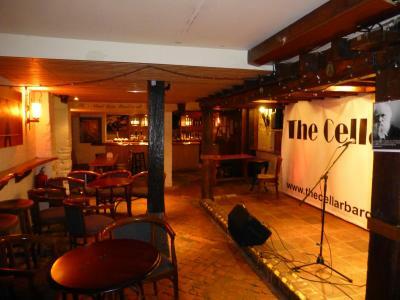 Located in Devizes’ town centre, The Bear is within 200 yards of shops and restaurants. 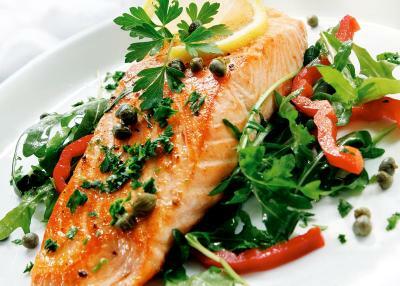 Locally sourced produce is served in both the relaxed Bear Grills Bistro. 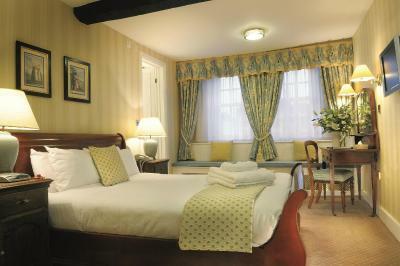 Free Wi-Fi and a flat-screen TV feature in each room. 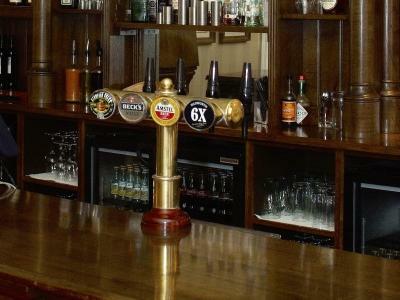 Ales brewed 150 yards away are delivered by horse and cart to The Bear Hotel and are served in its cosy bars. 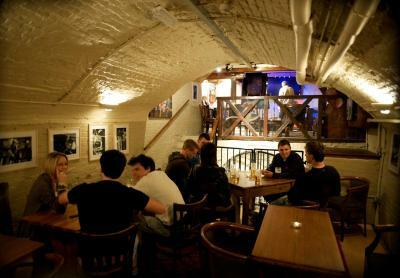 Live music is played weekly in the soundproofed, 14th-century cellar bar at The Bear Hotel. 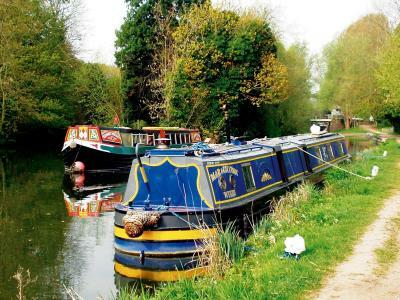 The town is surrounded by beautiful countryside and pretty canalside strolls can be enjoyed just 5 minutes’ walk away, along the Kennet and Avon Canal. Free private parking is provided. 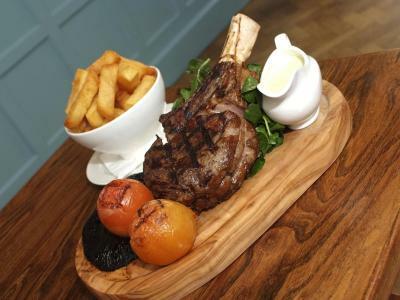 With blue panelled walls and a large open-fire, the bistro offers freshly made burgers, char-grilled steaks and vegetarian dishes, as well as a varied children’s menu. 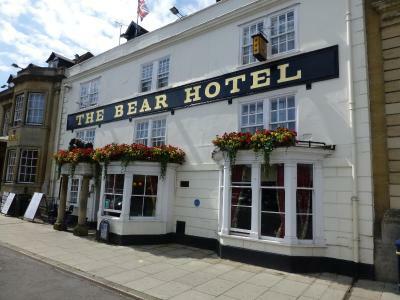 The Bear Hotel has been welcoming Booking.com guests since 21 May 2012. When would you like to stay at The Bear Hotel? 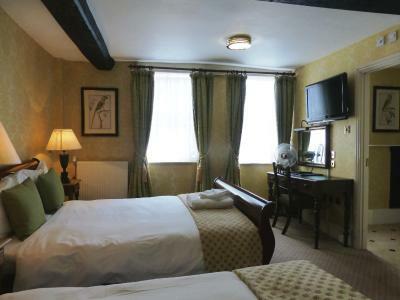 With free Wi-Fi, this room includes tea and coffee making facilities, a 32-inch flat-screen TV, and white Italian bedlinen and towels. 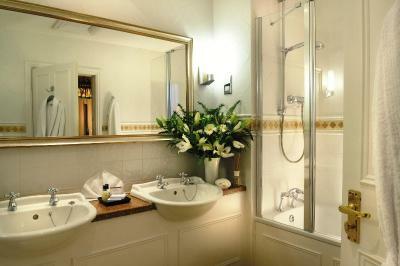 The en-suite shower room has complimentary toiletries. 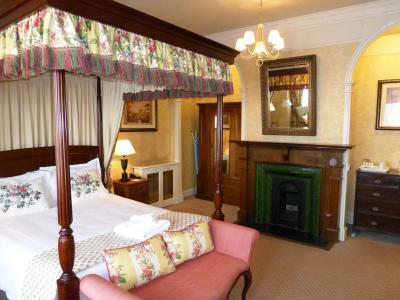 With free Wi-Fi, this room includes a larger-than-average single bed and a period fireplace. It also offers a work desk, tea and coffee making facilities, a 32-inch flat-screen TV, and white Italian bedlinen and towels. The en-suite shower room has complimentary toiletries. 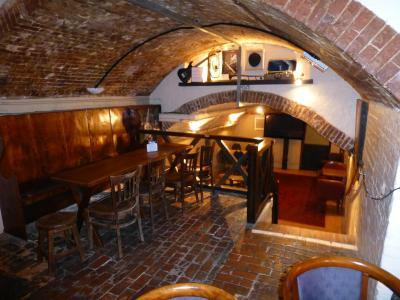 Featuring wooden beams, this room boasts sloping floors and an original fireplace. 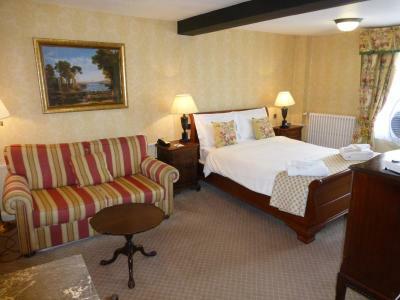 With free Wi-Fi, it also offers a work desk, tea and coffee making facilities, a 32-inch flat-screen Freeview TV, and white Italian bedlinen and towels. The en-suite bathroom has complimentary toiletries. 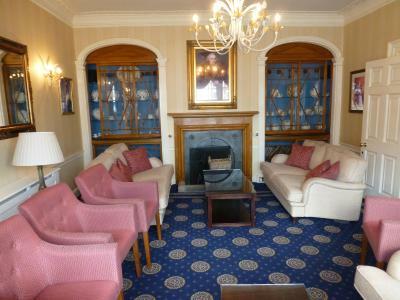 This room is situated on the first or second floor. With free Wi-Fi, this room offers tea and coffee making facilities, a 32-inch flat-screen TV, and white Italian bedlinen and towels. The en-suite bathroom has complimentary toiletries. 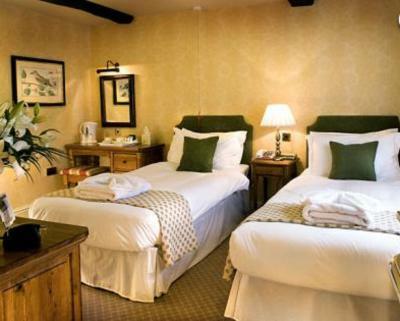 Please request 3 single beds or 1 double and 1 single bed when booking. 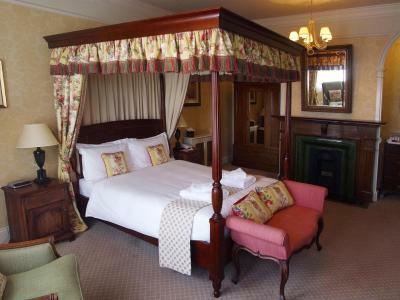 Featuring a four-poster bed, this room has large bay windows, overlooking the market place. 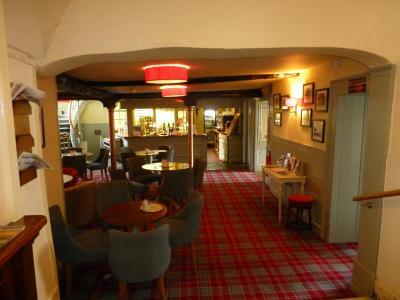 With free Wi-Fi, it features an original period fireplace, a large armchair, and a spacious en-suite bathroom with double sinks. 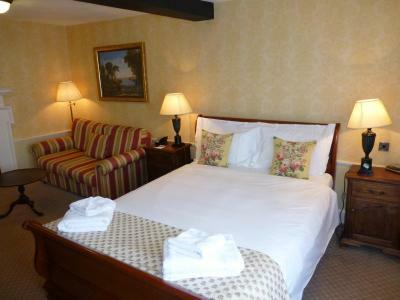 With free Wi-Fi, this room includes a 32-inch flat-screen TV and tea and coffee making facilities, and an en-suite shower room. Some rooms overlook the historic market place and others a quieter, to the rear of the building. One room has a disabled access shower room. Please request when booking. This family room features a electric kettle and flat-screen TV. 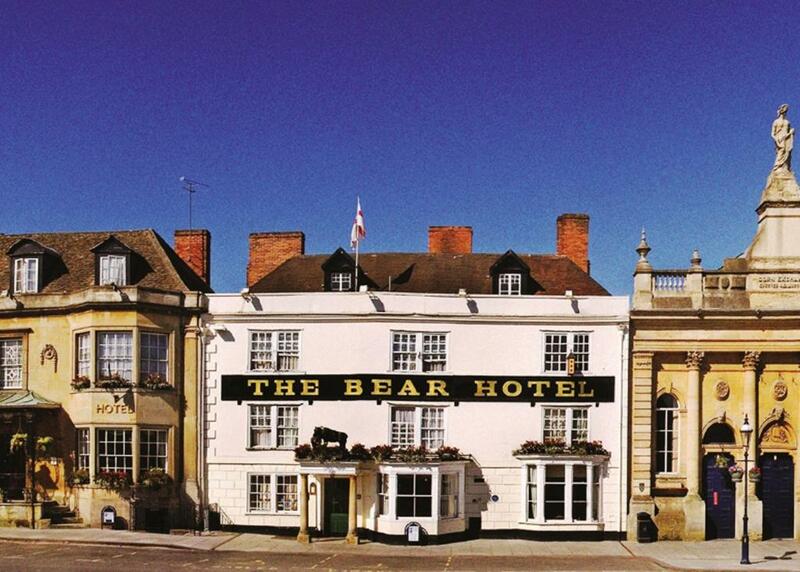 The Bear Hotel is ideally located in the heart of the bustling town of Devizes, Wiltshire. 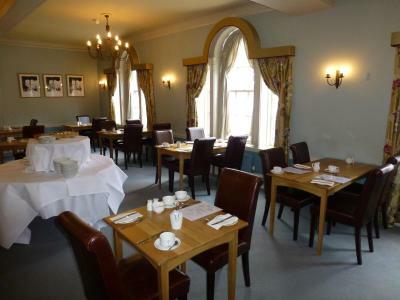 Whether visiting for business or pleasure, the hotel can offer you first class facilities, fine food and a fantastic atmosphere. 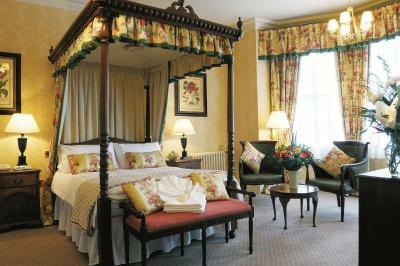 The hotel has: 25 en-suite bedrooms, including two luxurious four poster en-suite rooms. 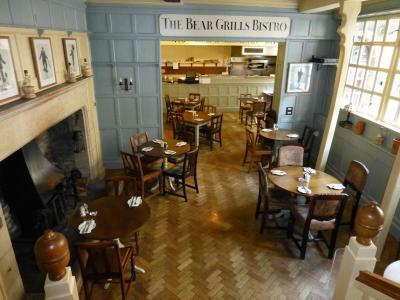 The Bear Grills Bistro is open for lunch and dinner, seven days a week and there are two welcoming bars. House rules The Bear Hotel takes special requests - add in the next step! The Bear Hotel accepts these cards and reserves the right to temporarily hold an amount prior to arrival. No wake up call in the morning The breakfast format needs to be updated to allow people to organise their own toast and ladle cereals onto their plate rather than open individual portions. Bathroom rather tired looking. No tea abs coffee facilities. Bed rather small. All excellent so nothing to comment. Heating off for 2 days in our room but a heater was provided when requested. Plumbing probably could do with with an update, but everything worked. Bed was comfy and the breakfast was excellent. We were attending a wedding, a few miles away from the hotel and would have liked to pick up the keys to our rooms, to drop off our gear beforehand, around noon (11am being kick out time), but this needed to be pre-arranged, understandably and would have cost us an extra £20! We were not particularly impressed by the quality of the cooked breakfast either. not running out of prunes at breakfast, and having windows that opened properly in our otherwise excellent room.